Pioneers in the industry, we offer strut channel bracket 41 x 21, channel ceiling bracket, channel ceiling double bracket, channel bean bracket, channel beam double bracket and strut channel double bracket from India. 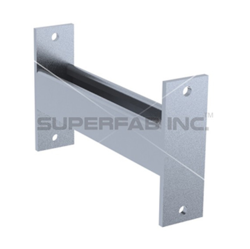 We are offering Strut Channel Bracket 41 x 21 to our clients. 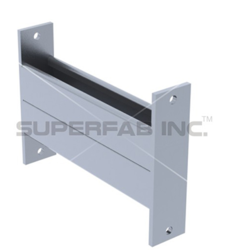 This product is also known as Slotted Channel, Cable Tray Support and Cantilever Arms. With the aid of well-organized manufacturing team, our firm is capable of offering Strut Channel Ceiling Bracket in various specifications. This product is also known as Slotted Channel and Cable Tray Support. 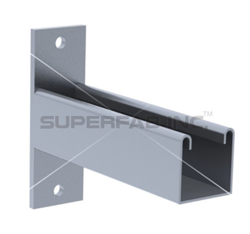 Our firm is among the trusted names occupied in offering the high-quality range of Strut Channel Bracket Ceiling Double. We are offering Strut Channel Beam Bracket Single to our clients. This product is also known as Cantilever Arms and Cable Tray Support. We are offering Strut Channel Beam Double Bracket to our clients.This product is also known as Cantilever Arms and Cable Tray Support. We are offering Strut Channel Bracket to our clients. 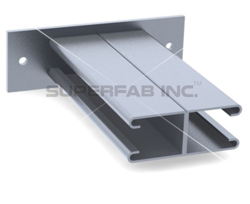 This product is also known as Slotted Channel, Cantilever Arms and Cable Tray Support. We are offering Strut Channel Bracket Shelf to our clients.